Minimum access opening is 18 inches by 24 inches. Minimum access opening if mechanical equipment (i.e. if an HVAC system is located in the crawlspace) is 30 inches by 30 inches. 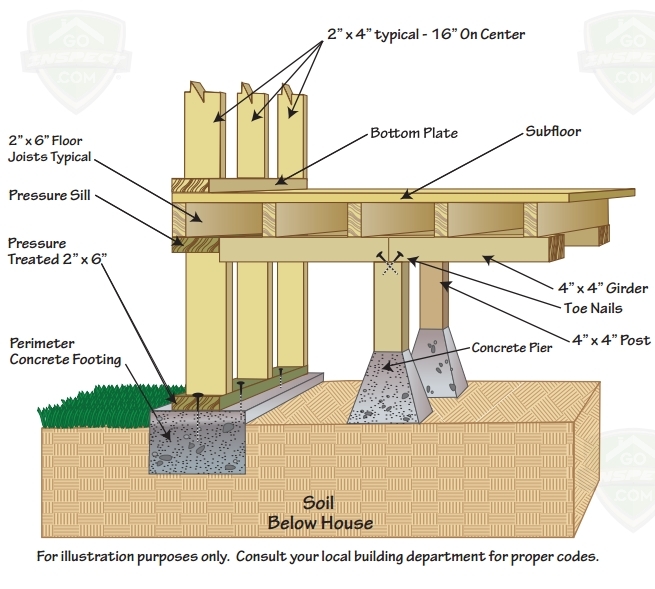 Minimum clearance between the soil and joists is 18 inches and 12 inches between the soil and beams. Minimum ventilation, every 150 square feet of floor space, requires a one square foot ventilation opening. Water control and management in the crawlspace is essential for maintaining a house. The most common problem associated with wet crawlspaces is that moist conditions can lead to wood destroying fungus that deteriorates exposed framing. In addition, excessive moisture is a conducive condition that can lead to an infestation of wood destroying insects, such as termites. 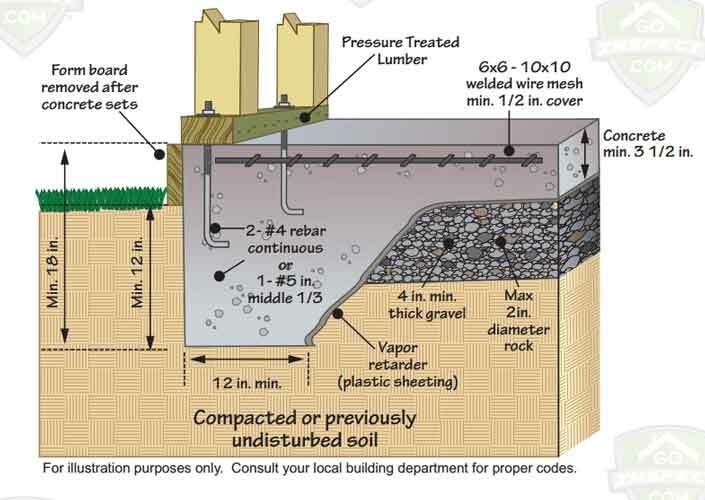 In exceptional cases, water penetration into a crawlspace can lead to the undermining of the foundation. A concrete floor (slab) that is poured directly at grade (ground level) and acts as the first floor sub-surface. The slab is usually supported by a continuous (spread) footing, piers or piles, and grade beams.